The FBI has arrested nine young Minnesota men since 2014 for allegedly plotting to join the terror group ISIS in Syria. Six — Abdullahi Yusuf, Zacharia Abdurahman, Hanad Musse, Abdirizak Warsame, Adnan Farah and Hamza Ahmed — have pleaded guilty to conspiring to travel to Syria to join ISIS. They told Judge Michael Davis that ISIS propaganda videos and social media inspired them to seek out the group to join up. Most were in their teens when they got caught up in ISIS' sophisticated social media campaign to recruit new followers. The three remaining suspects — Guled Omar, 21; Abdirahman Daud, 22; and Mohamed Farah, 22 — are set to stand trial beginning Monday on charges including conspiring to provide material support to ISIL and to commit murder abroad. This will be the first time individuals facing ISIS-related charges will face trial in Minnesota, home to one of the largest clusters of ISIS defendants in the nation. The trial is expected to last several weeks and will be closely watched around the world. Here's a guide. The men are accused of plotting to commit murder overseas — a charge that carries a maximum sentence of life in prison — as well as conspiring to provide material support to a terrorist organization, a charge that carries up to 15 years in prison. Their families insist the men are innocent and never intended to harm their country. The government is taking the threat of domestic radicalization seriously. 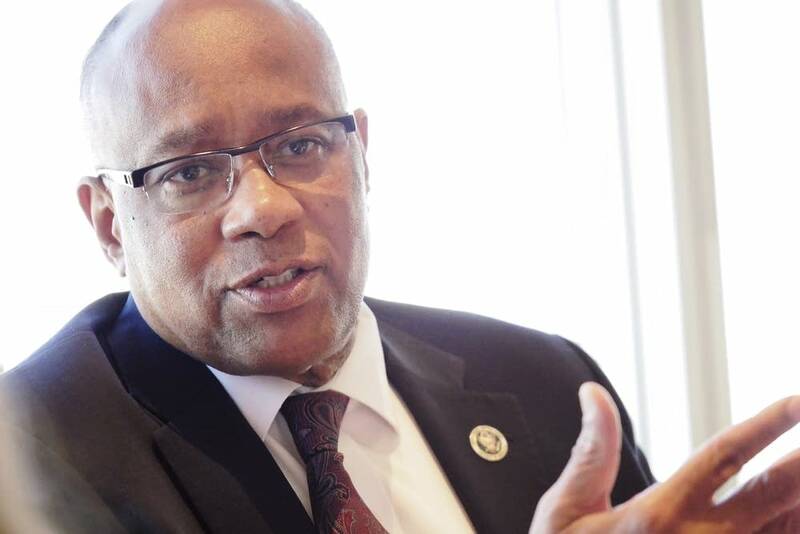 However, some Minnesota Somali-American community leaders contend that the government is over-reaching in its anti-terrorism efforts when it comes to arresting impressionable young Muslim men who recently graduated from high schools and never left the United States. None of the men on trial has previously committed a crime. How did the FBI pursue the case? The FBI's investigation started in 2014 when reports surfaced about the departures of several Minnesotans believed to have joined radical groups in Syria. In November 2014, the U.S. Attorney's Office in Minnesota charged two men accused of conspiring to join ISIS. One of those men, Abdi Nur, is believed to be fighting in Syria. The other, Abdullahi Yusuf, was stopped at Minneapolis-St. Paul International Airport in May 2014 as he prepared to board a flight to Turkey. Yusuf became the first man to plead guilty to the conspiracy. Nur and Yusuf were part of a group of friends who met at parks, Somali malls, mosques and restaurants starting in mid-2014. They watched ISIS propaganda videos and discussed ways to travel to Syria. Some of them purchased airplane tickets and tried to board planes to leave the country. Others drove to San Diego to get fake passports. In February 2015, the FBI arrested a second man, Hamza Ahmed. According to prosecutors, Ahmed and three young men — Zacharia Abdurahman, Mohamed Farah and Hanad Musse — took a Greyhound bus from Minneapolis to New York City's John F. Kennedy International Airport in November 2014 intending to board international flights. Ahmed and Farah were booked on the same Nov. 8, 2014 flight from JFK to Istanbul, Turkey. Farah, Musse and Abdurahman were prevented from boarding their flights. Ahmed successfully boarded, but the FBI pulled him off the plane before it left the boarding gate. None of the men was arrested at the time. As the FBI intensified its surveillance in early 2015, one of the men identified by family and friends of the defendants as Abdirahman Bashir, decided to cooperate with the government as authorities zeroed in on the group. Using a hidden microphone, he began to secretly record conversations of his friends. A California native, his friends called him "Cali." The government is expected to use Bashir's tape-recorded conversations as evidence during trial. In April 2015 with the help of Bashir, Mohamed Farah and Abdirahman Daud drove to San Diego to obtain fake passports, according to prosecutors, and were soon arrested there. 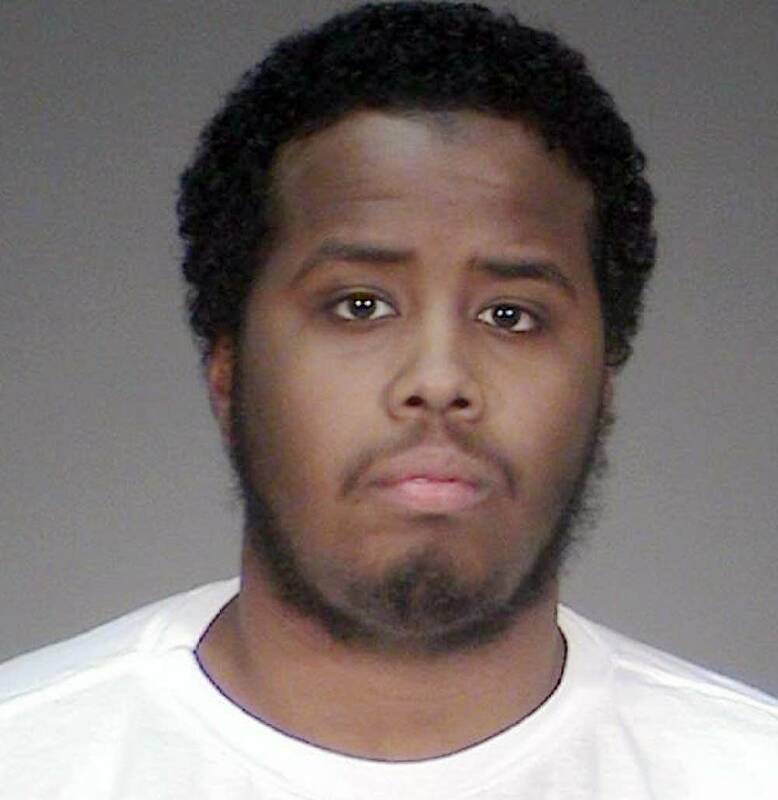 Adnan Farah, Guled Omar, Abdurahman and Musse were also arrested in Minneapolis as part of a joint terrorism task force investigation, bringing to eight the number of men arrested. In December 2015, the FBI made a ninth arrest, Abdirizak Warsame. He was friends with the men who'd already been charged with trying to join ISIS. 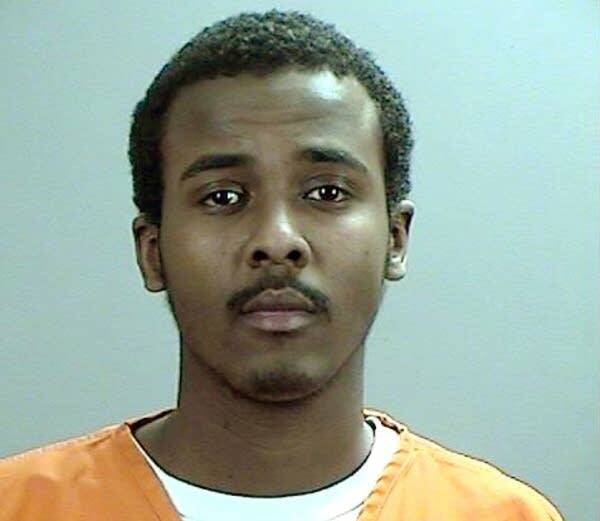 Prosecutors say Warsame was part of the conspiracy, and at one point, became the group's leader. It's unclear why he was arrested eight months after his friends were charged. Many in the Twin Cities Somali community were shocked at the magnitude of the arrests and charges. Mothers said they hadn't slept for days after their sons were arrested. The community came under scrutiny from law enforcement and the media. Some saw parallels to the arrests of several men six years earlier for attempting to aid the terrorist group al-Shabab in Somalia. How, they asked, could it happen again? What are the ties among the men going on trial? Mohamed Farah's younger brother, Adnan who went to school with Omar, pleaded guilty in April to charges of plotting to join ISIS. Prosecutors allege Omar attempted to leave the country a total of three times to join foreign terrorist groups. In 2012, Omar planned to travel to Nairobi, Kenya, "where he would then be able to cross into Somalia" to join al-Shabab, according to court documents. In May 2014, Omar and his friend, who turned out to be an FBI informant, tried to drive to California and make their way to Syria from there, prosecutors say. But after Omar placed his luggage in a rental vehicle, a family member confronted him. Omar, then 19, abandoned his travel plans. In November 2014, Omar again tried to travel from Minneapolis to San Diego but was stopped at the airport and not allowed to board the plane. 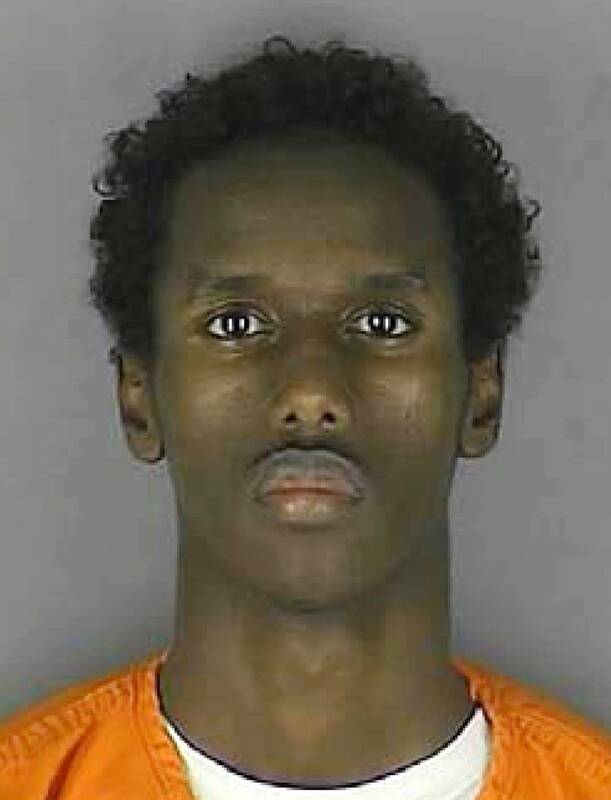 Omar graduated from high school in Minneapolis and worked as a security guard to fund his education at a local community college, according to his attorney. Prosecutors say Omar introduced Hamza Ahmed and Yusuf Jama, who's believed to have died in Syria while fighting for ISIS, to group meetings during which the men were allegedly planning their travels to Syria. Daud, along with Farah, allegedly left Minneapolis for San Diego on April 17 in hopes of getting a fake passport from source in California, unaware that the man he was asking to make the connection for him was actually an FBI informant. Prosecutors say the men were planning to cross into Mexico and fly out to the Middle East before federal agents arrested him three days later. On the road trip to California, a confidential informant for the FBI recorded Daud saying that he would "spit on America at the border crossing." The third youngest of 12 children, Daud lived in Minneapolis with his mother and siblings. He attended South High School and graduated from Heritage Academy in Minneapolis. He went on to study at Minneapolis Community and Technical College. A youth program manager who met Daud when he was in his teens testified in a court hearing that Daud was respectful, calm, and a role model to the younger children. Mohamed Farah, the oldest of seven children, graduated in 2012 from Heritage Academy of Science and Technology and attended St. Paul College. What happens to the six men who pleaded guilty? 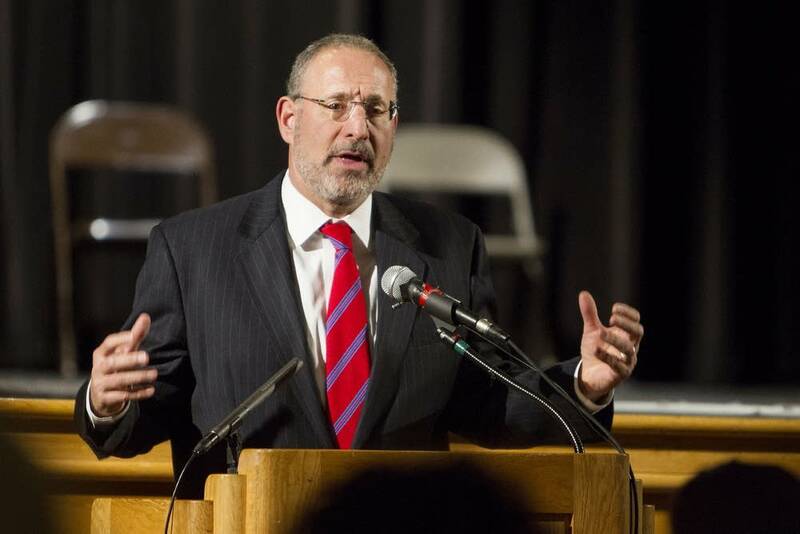 In March, after four men in the case pleaded guilty, U.S. District Judge Michael Davis launched a program, the first of its kind in the nation, aimed at identifying the individual driving factors of radicalization and to assess the risks posed by the men. The total number of men who pleaded guilty are six now, and they have the option to participate in the program, which will help the judge determine sentencing. They face up to 15 years in prison. The law allows for lighter sentences for those who provide substantial assistance to the government. Davis flew to Germany in December to meet with Daniel Koehler, director of the German Institute on Radicalization and De-radicalization Studies, who will carry out the individual risk assessments and provide a written report about his findings and recommendations to the court. Koehler was in Minneapolis last month to conduct interviews. How has the federal government responded to the threat of Americans becoming radicalized? The Justice Department in 2014 launched a pilot program called Countering Violent Extremism program, or CVE, in Minneapolis, Los Angeles and Boston, calling it a way to bring religious and community leaders and law enforcement together to counter efforts by ISIS and other terror groups to recruit fighters in the U.S. It calls for bolstering after-school and tutoring programs in hope of fostering a sense of belonging for young Somali-Americans. As part of the program, locally known as Building Community Resilience, six organizations that work with Somali youth in Minnesota were recently awarded $300,000 in grants. Grant recipients include a youth sports group, a program that empowers Somali parents, an organization that plans to enhance youth employment opportunities and a group that addresses mental health issues for refugees. However, some Minnesota Muslims have questioned the pilot's intent and raised concerns that it's simply a way to gather intelligence. U.S. Attorney for Minnesota Andrew Luger, who leads the CVE program in Minnesota, has told his Somali community task force he would not use the program that way. But some 50 Muslim organizations, led by the Council on American-Islamic Relations in Minnesota, oppose the program because it combines "policing and counter-terrorism efforts with social services and outreach targeting only one religious and ethnic community."